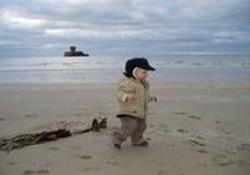 below: my grandson Paul Maurice with La Rocco tower and the Atlantic ocean in the background. 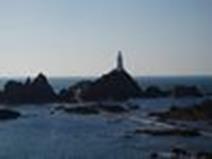 Left La Corbiere lighthouse was the first concrete lighthouse to be built in the British Isles is at the St Brelade end of St Ouen’s bay. It cost £8000 to build in 1873 and was photographed by me on Boxing day 2005. It was originally manned but is now fully automatic. Some 450 miles of roadway comprising a mix of fast roads (max all Island speed of 40 mph) and small country lanes, create endless opportunities to explore and discover the unexpected and impressive. 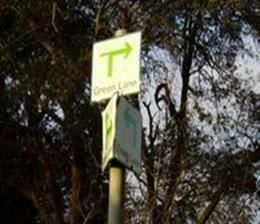 Jersey also has a network of over 46 miles of Green Lanes where a speed limit of 15 mph is imposed and priority given to walkers, cyclists and horse riders (not always true unfortunately). 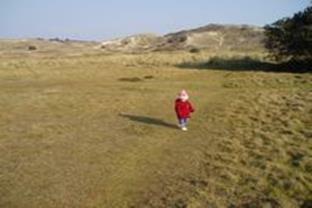 My granddaughter Natalie Anne on the unique sand dunes in St Ouens bay. 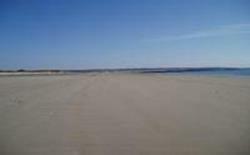 The prevailing south westerly wind and the warmth of the Gulf stream in Winter usually keeps the snow away. 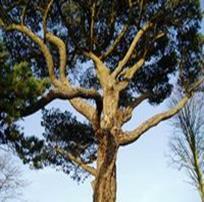 You do see some rugged trees like this one not far from my home in St Peter. A brief History of the Island’s constitutional relationship with England and later with the United Kingdom. It is a long history which begins for practical purposes in June 1204 when the castle at Rouen, the capital of Normandy, was surrendered to the forces of King Philippe Auguste of France. King John had lost continental Normandy, but not the Channel Islands which, for nearly three centuries, had formed part of Normandy. The loyalty of the Islanders was secured, inter alia, by the granting of important constitutional privileges. Amongst those privileges were the privilege of being governed by the laws then in force (essentially the customary law of Normandy) and the privilege of having separate administrations. King John did not absorb the Islands into the realm of England. He appointed a warden for the Islands (subsequently a warden for each Bailiwick). Later a Bailiff for each of Jersey and Guernsey was appointed. He directed, by a document which has become known as the Constitutions of King John, that the Islanders should elect their twelve best men (duodecim optimatos juratos) to be sworn to keep the pleas. By 1341 English itinerant justices no longer visited the Islands. Justice was administered by the jurats (as they became known) and the Bailiff. During the early part of the 14th century, if not before, the Royal Court (composed of the Bailiff as president and the jurats) came into existence and still exist today. ‘What I would like to emphasize, because I am sure it is of prime importance to you all, is this. Under the proposals your fiscal autonomy has been guaranteed – I say that deliberately and slowly. There is no doubt whatever about that and I can say quite categorically that there will be no question of your having to apply a value added tax ( my emphasis ) or any part of Community policy on taxation’. This gave us a distinct and unique advantage as a holiday resort within Europe. Unfortunately the Jersey Government of today have voted in (May 2008) our own GST starting at 3% (now 5%) on everything, which has upset most of the true locals who think this is possibly for the States members benefits and the Island’s perceived uncontrolled government spending. Now in 2019 Brexit is almost certainly about to change all of this which will be interesting. The States are now composed of 12 senators (elected on an Island-wide franchise), 12 connétables and 29 deputies. All these are elected. The Bailiff and Lieutenant Governor, Law Officers of the Crown and the Dean of Jersey are members ex officio ( appointed not elected). They have the right to speak but not to vote except the bailiff who uses a casting vote in the event of a tie. The Island elections have slightly improved in 2014 with Senators, Deputies and Constables all elected on the same day. Unopposed elections and poor turn out could be due to the large immigrant population. The deputies and constables are sometimes elected unopposed but once in the states hold the same equal status as Senators ( who have an island mandate) and become Ministers to head presidencies of important committees. It is easy to see how personality groups are formed and they are very difficult to remove as only approximately one twelfth of the electorate at any one time individually elect these forty one candidates. For a true democracy on a small island the chief minister and even the ministry presidents should have had an island wide mandate. 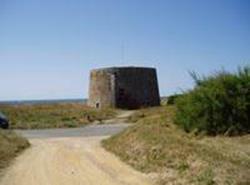 Left is the first built Jersey round tower at Greve De Lecq they can also be seen around the island and right is the Martello tower which was built later as defences in the Island. These were copied by the English navy and used along the south coast of England later. 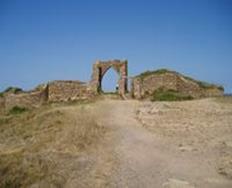 This is the remains of Gronez Castle and from here you are able to see Guernsey, Alderney, Sark. 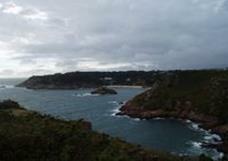 Herm and the coast of France. Part of the massive German fortifications from the second world war. The Channel Islands were the only part of the British Isles to be occupied by the Germans during World War 2. Take a look at my page on the German occupation. Right. 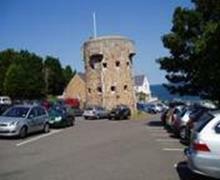 16th century Elizabeth Castle in the centre of St Aubins bay. Previous to that the home and place where the hermit Saint Helier lived and was murdered in AD. 555. Certainly worth a visit. Photographed by my son-in-law Graham 2005. Portelet Bay with Janvrin’s tomb. The islet is the tomb of Captain Philippe Janvrin and some of his crew of the' Esther’. Because of the plague on board in the eighteenth century their bodies were not allowed to be brought ashore to be buried..
La Corbiere lighthouse with the vast Atlantic ocean behind. 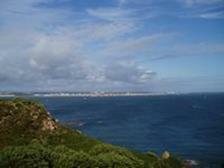 Below is view of the capital St Helier as seen from the Noirmont headland across St Aubin’s bay. 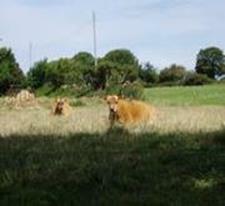 World famous Jersey cows which can be seen all over Jersey and known all over the world. 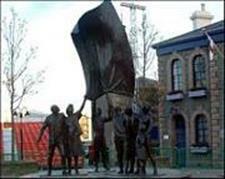 Bronze statue depicting the liberation from Germany in 1945 in our Liberation Square. 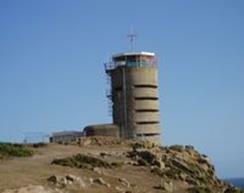 Jersey was the only part of the British Isles to be occupied in the Second World War. See the page on the occupation years. 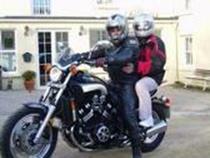 Valerie and I on my VMX1200. 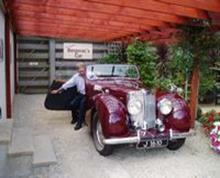 Take a look at our cars and bikes page. Natalie & Paul my grandchildren getting up to mischief around the farm. Take a look at the page about our animals. Usually updated every three months . We cannot use our Jersey currency in the UK or Europe but British Sterling is used in the Island. 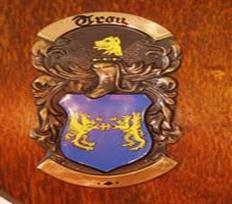 Our currency is issued by the Treasurer of the States of Jersey and uses the same denominations and the same values. Hence many different coloured notes and mixed coins in our wallets. Location of Jersey, Channel Islands on the Google map. The Channel Islands are made up of Jersey, Guernsey, Alderney, Sark, Herm, Jethou, Brecqhou, Lihou and many other small islands and reefs. It is the most southerly island of the British Isles. 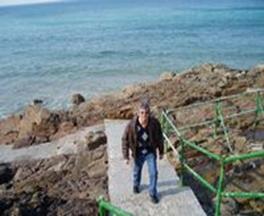 Located some 100 miles (160km) south of England yet only 14 miles from the mainland coast of France. 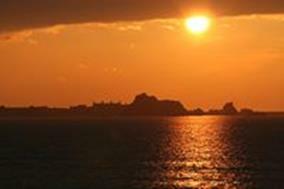 The Island slopes from north to south which is ideal for the growing of the famous Jersey potato and Jersey tomatoes. Traditionally seaweed, called Vraic locally, was used as fertiliser on the fields which added to the flavour. Also famous for the world renown Jersey cow and garments named ‘Jerseys’. 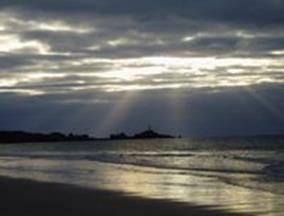 Jersey measures just nine miles by five an area of just 45 sq miles. Well known in the 80’s for the BBC TV detective series “Bergerac”. It might be thought that an area of forty-five square miles with a permanent population of something over 100,800 would have little but buildings to explore. 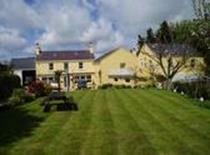 But when you approach the island by air you see lush valleys, well-kept fields and an unspoilt coastline. Arrive by sea and the rocky grandeur of La Corbiere, the sweep of St. Aubin’s Bay and picturesque Elizabeth Castle set the scene for a grand encounter with a small but delightful island whose variety of scenery, wealth of history and sheer beauty compete with much larger and, perhaps, better-known destinations. The sea dominates the landscape with views of the surrounding Atlantic Ocean accessible from virtually every point on the island. The coastline on the north coast offers majestic cliffs and rocky coves and the rest has exposed bays, sandy beaches and are all immediately accessible by road or on foot and just a few minutes’ drive from anywhere. 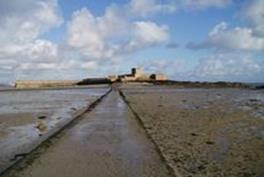 Due to Jersey’s unique position in the Bay of St. Malo the island grows and shrinks twice a day as the tide ebbs and flows in excess of 40 feet, one of the highest tidal ranges in the world. Thanks to its roots in medieval Norman history, Jersey has inherited a unique community management and policing system that is proving remarkably effective even in the 21st century. 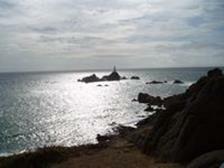 Jersey is divided into 12 parishes, all having access to the sea. The core of parish affairs is still based on the principle of unpaid service to the community. The civil head of the each parish is the Constable (Connetable) who, once elected to the role, gives his or her time for free but nowadays they have automatic right to sit in the States Chamber and draw a salary of £45,000 plus each. The title stems from the French term Conte de L’Etable or Count of the Stable and reflects their task of helping the King’s Court move around France and ensuring fresh horses were ready for the royal entourage. The 53 members are no longer honorary and vote themselves their own raise in their salary every year, this includes the Constables, which a lot of people feel is slowly eroding our unique system. Because the Channel Islands are not full members of the European Union (formerly the European Community) people who derive their British citizenship through a connection with the Channel Islands do not have an automatic right to settle and work in EU countries, unless they have a connection with the United Kingdom through a parent or a grandparent or if they have been ordinarily resident in the UK for 5 years. If we wish to live or work in an EU country we have to first seek permission from the relevant Embassy in the UK but all EU members can freely work in Jersey (If you have this observation in your passport it does not affect your rights in the UK). 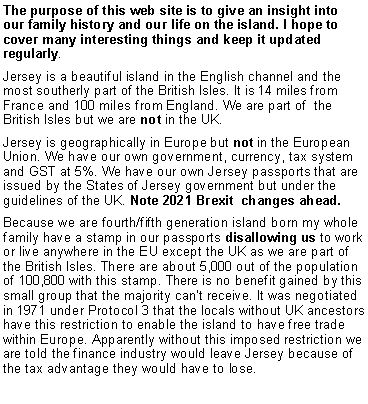 We (the real Channel Islanders) are in a minority but cannot claim discrimination under Jersey law( unlike the UK) and are beginning to feel like foreigners in our own Island. This has affected two of my daughters, One when trying temp work in Germany and one when wanting to go on a working field trip in Spain whilst at university in England. Many State's Members insist this affects no one and letters to the JEP encourage ignoring the stamp if possible and break the law until found out. After 2019 this is all about to change. The Island has nearly two registered vehicles for every one islander and if they were ever all on the roads at once there would only be a 300yd gap between them . Because of the tax advantages and its unique beauty Jersey has some very rich and famous people living here, among them racing-drivers Nigel Mansell and Derek Warwick, golfer Ian Woosnam, singer songwriter Gilbert O’Sullivan, the late journalist Alan Whicker (died 12/7/2013), and many more who buy under company names. The item of clothing called a Jersey originated in Jersey. Jersey and Guernsey were famous for the knitting trade in medieval times. A Jersey oiled fisherman's/seafarers jumper used by sailors was the origin of what is now called a Jersey.